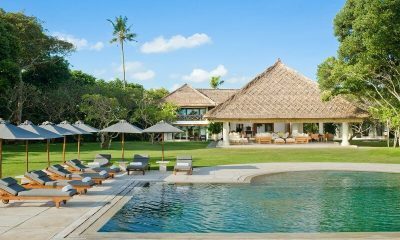 Chandra Villas is a stunning luxury villa resort designed with a modern approach, paying attention to every little detail. 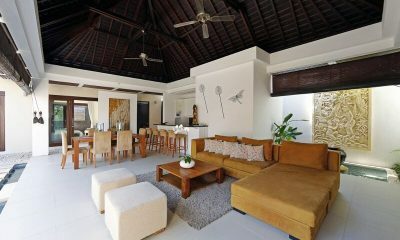 The villa is perfect for families and large groups looking for a location close to the Bali’s hotspots. 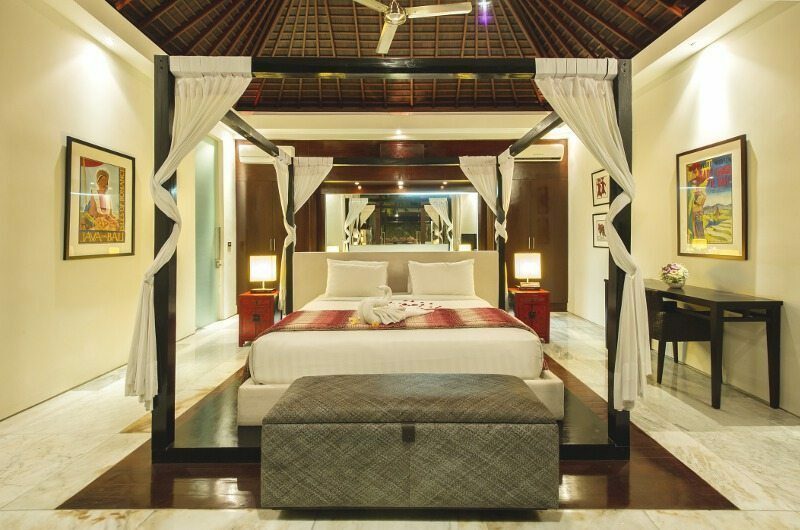 If you’re seeking peace and harmony in a lavish retreat, then look no further than Chandra Villas. 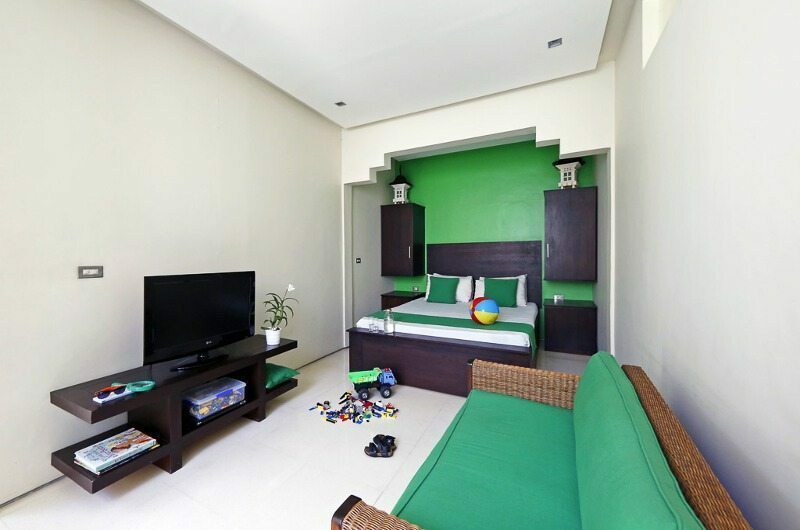 Chandra Villas 2, Chandra Villas 3A, Chandra Villas 5, Chandra Villas 6 and Chandra Villas 7 have two bedrooms each. 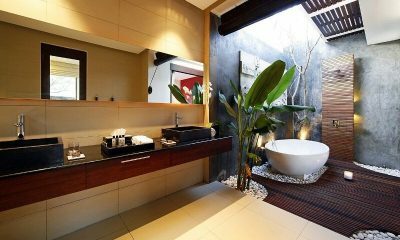 Chandra Villas 1, Chandra Villas 3, Chandra Villas 8 and Chandra Villas 9 all feature three bedrooms, with the option of opening a fourth extra bedroom in two villas. Read our full review of Chandra Villas. The two bedroom villas at Chandra Villas have beautifully designed living spaces and bedrooms with all the features of a modern home. 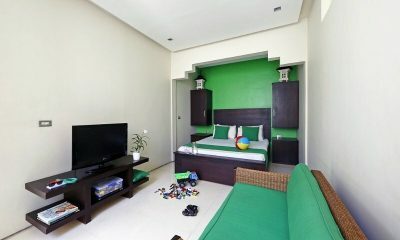 The two bedrooms with pastel hues are fully air conditioned, each with an en-suite bathroom. 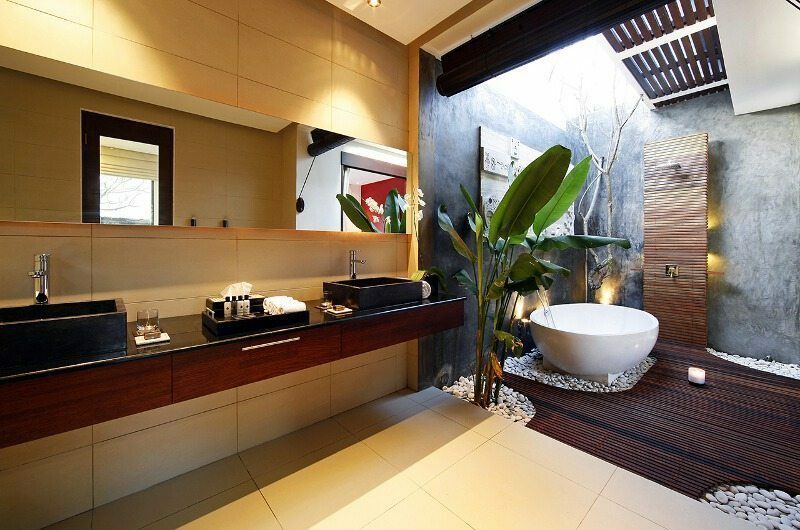 The bathrooms are set in a tropical ambience featuring an outdoor shower and a bathtub. 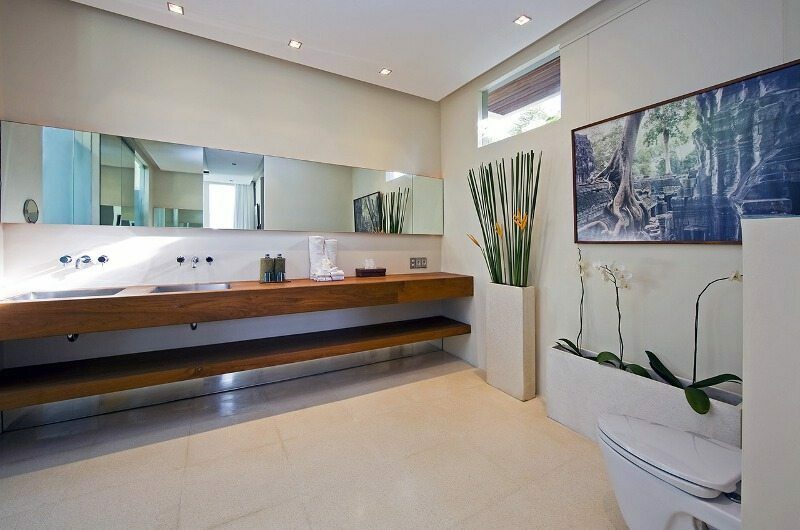 Relax your mind, body and soul amidst the beautiful outdoor features combined with comfortable living spaces. 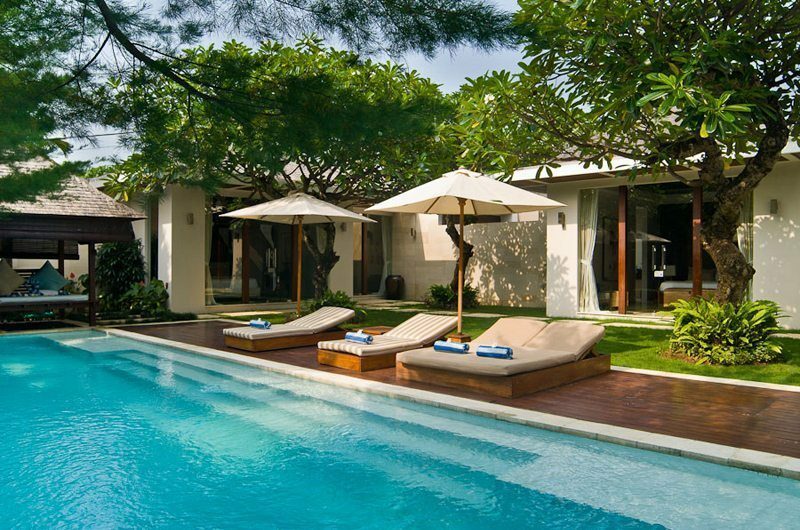 Each villa has a private pool surrounded by sunbeds, perfect for days when you don’t feel like stepping out. The two bedroom villas at Chandra Villas have beautifully designed living spaces and bedrooms with all the features of a modern home. 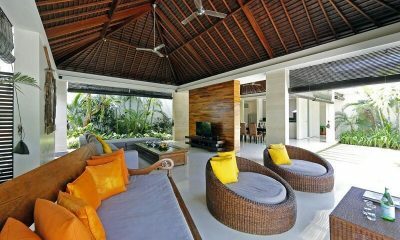 Relax in your private lounge area that includes an air-conditioned media room (in premium villa only) furnished in the most chic Bali style. There is ample space for everyone to relax quietly, or gather together for meals and games. If you enjoy cooking, whip up a feast using the fully self-contained kitchen boasting the highest quality appliances. 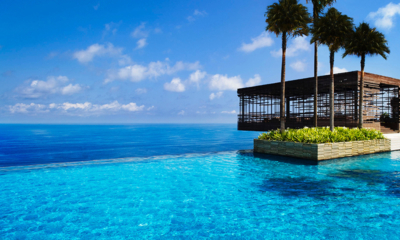 Unwind by the 11 metre turquoise swimming pool flanked by lush grass, gardens & Zen water features. The villa staff will be happy to make arrangements for a special evening under the stars. The 3 spacious air-conditioned bedrooms have king size beds and a garden ensuites featuring a rain shower and a deep soak bathtub. 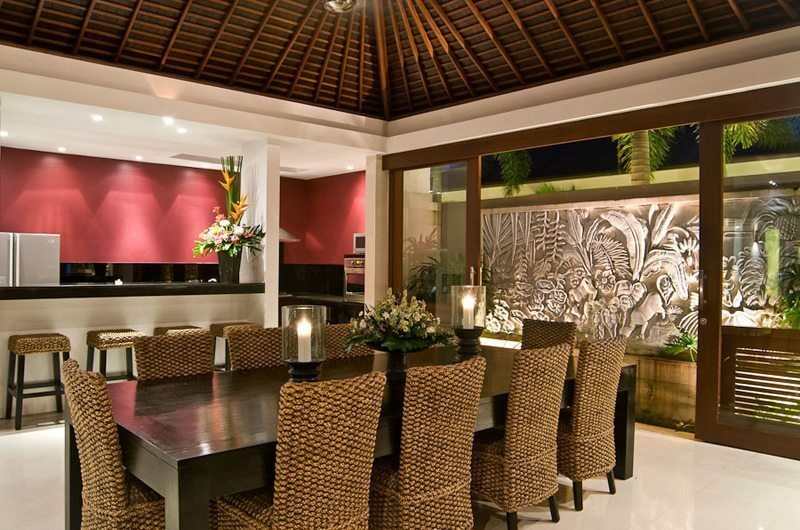 The open-air living pavilions contain huge dining tables designed for delicious dinners seating 10 people and relaxed bbq’s. 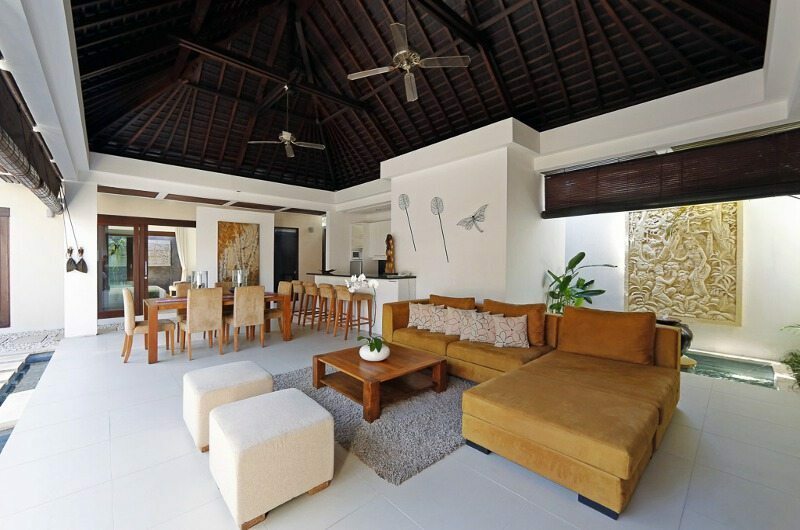 Each villa has a fully equipped kitchen with modern appliances such as full sized fridge and a Nespresso machine on an Island counter. 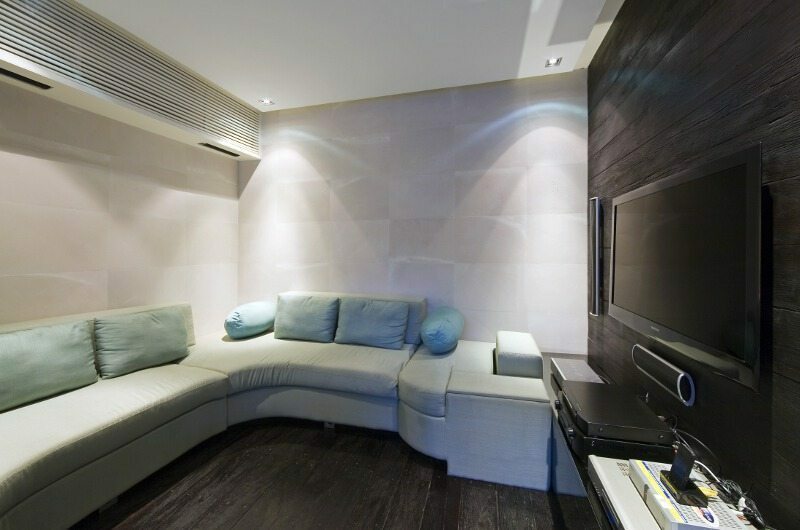 The premium 3 bedroom villas also have a media room for in-house entertainment. 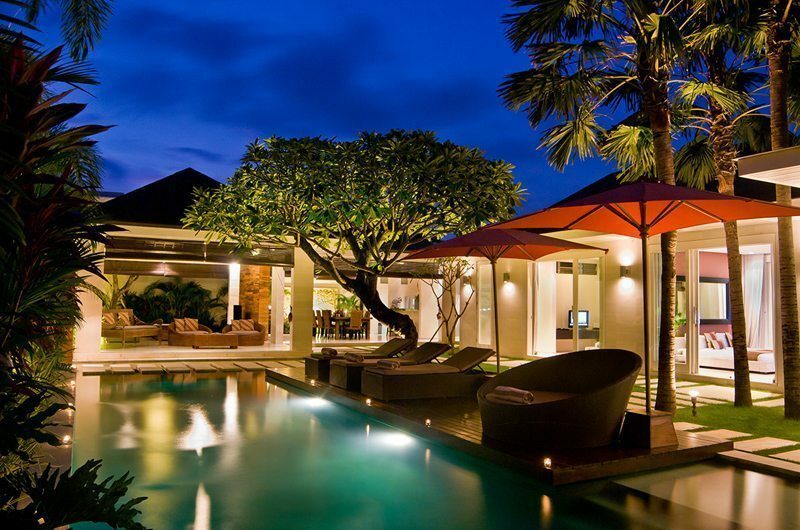 All villas have un-limited wi-fi and a phone fitted a local SIM card. 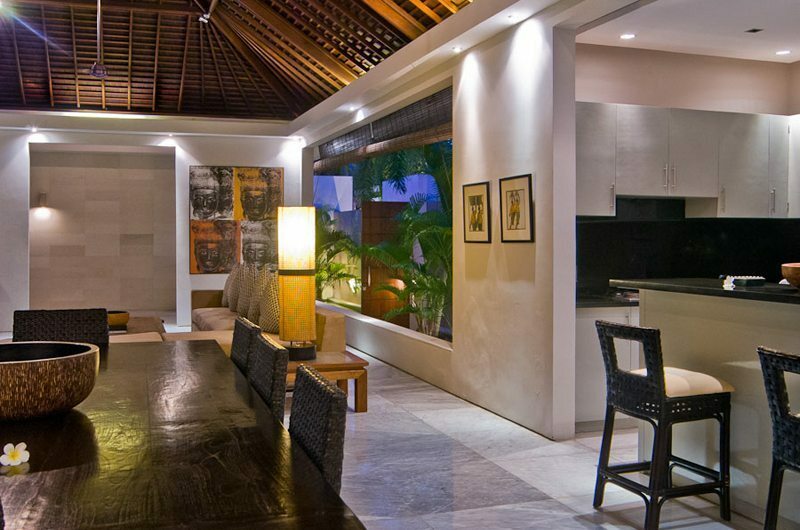 There is ample space for everyone to relax or socialise at Chandra Bali Villas. 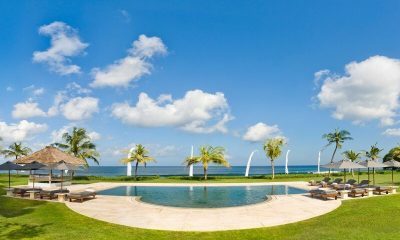 Offering the best of Bali, the outdoor features are designed for guests to relax and unwind in the privacy of their own villa. 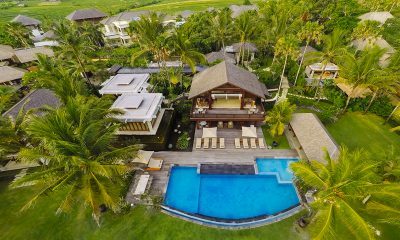 Each villa has a private pool, a pool bale and sunbeds with the serene ambience of lush grass, gardens & Zen water features. The beautiful outdoor features combined with comfortable living spaces make every effort to relax you mind, body and soul. Lose yourself in the imaginary world of your favourite novel or enjoy some tropical cocktails with your partner. Our villa staff will be happy to make special arrangements during your stay. 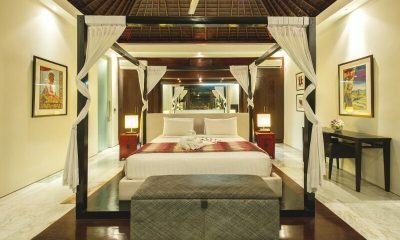 Chandra Bali Villas also has a 3.5 bedroom family villa with a single bed and en-suite bathroom, ideally suitable for a nanny or a helper. 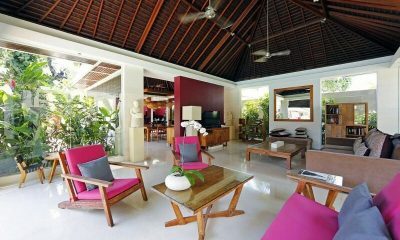 Chandra Villas is a villa resort comprising of 9 x two and three bedroom private villas. 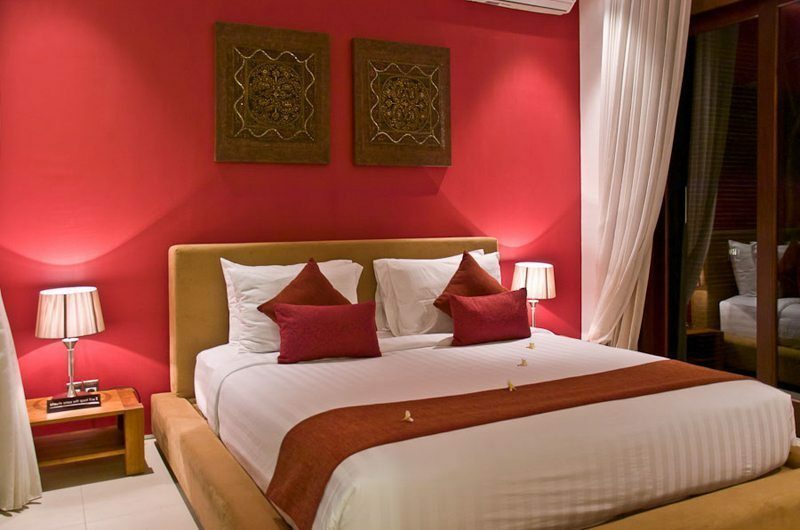 All of the bedrooms at the Chandra Villas are fully air conditioned and equipped with a king size bed and elegant white cotton sheets. 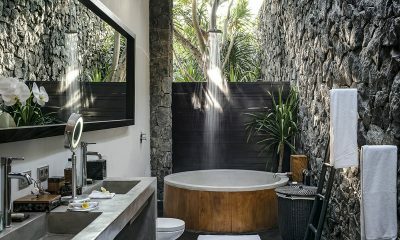 The en-suite bathrooms, each unique in design offers an indulging bathing experience with indoor and outdoor facilities such as shower and bathtub. 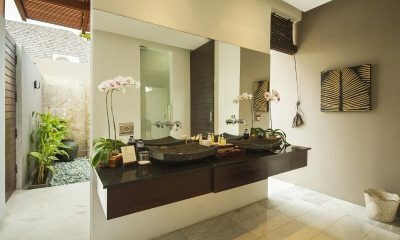 Your stay in Chandra Villas is made enjoyable by the professional staff. 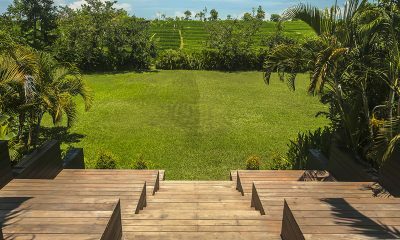 Chandra Villas’s staff have been professionally trained and will do their utmost to please with their warm and friendly Balinese hospitality. Chandra Villas’s experienced and knowledgeable manager is responsible for the overall operation of the villa. The villa manager will oversee and coordinate the staff and property and assist you during your stay. The chef is available on request, as our chef only looks after lunch and dinner. For the breakfast that is included and it will prepared by the villa attendant. The chef is available for lunch or dinner and the price is based on what kind of foods you would like. Chandra Villas has their own menu and you simply choose what you want. To order groceries a fee of 20% on top of the total bill will apply, and if you would like to use our chef the cost will be at IDR 300,000/ person. If you would like a lunch or dinner arranged we recommend choosing from our in house menu because there are no chef fees or grocery surcharge. The meals are set price as per the villa menu. The villa complex has 24 hour security at the property. 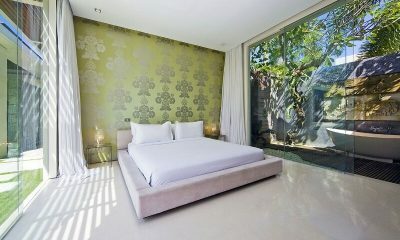 Chandra Villas is located in the renowned district of Seminyak in Bali. A few minutes’ walk from the villa will take you the Seminyak beach where you can experience Bali’s best nightlife with its interesting beach bars. 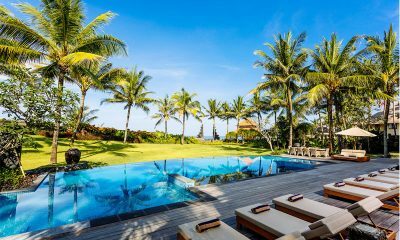 The famous beach clubs like Ku De Ta, Potato Head, W Hotel, Sardine and many more such hotspots are located a short walk from the villa. Well what can I say Chandra Villas were amazing. We had the most wonderful family holiday and could not fault our stay or the villa at all. Minnie and all the staff were amazing and went well beyond our expectations in making sure we had the most memorable stay, nothing was ever too much trouble. Ministry of Villas were fantastic to book through and everything was arranged with so much ease. Can not wait to return again. We had a very comfortable stay. The staff was friendly, hospitable and helpful. Would definitely recommend. The staff were lovely and greeted all of us by name! They went out of their way to make it a special trip for all of us. We did have a problem with the WiFi – however the staff were able to promptly provide a dongle which allowed us access until the problem was fixed. 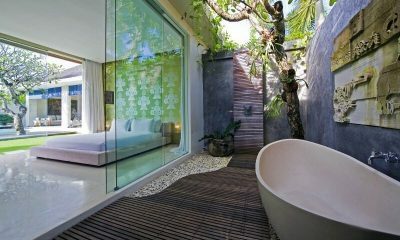 Would highly recommend to anyone looking for a relaxing stay in Bali, close to the action but your own paradise! The Chandra Villas was excellent. Everything was perfect and the staff were incredible and very helpful. The villa was stunning and I look forward to staying there again. 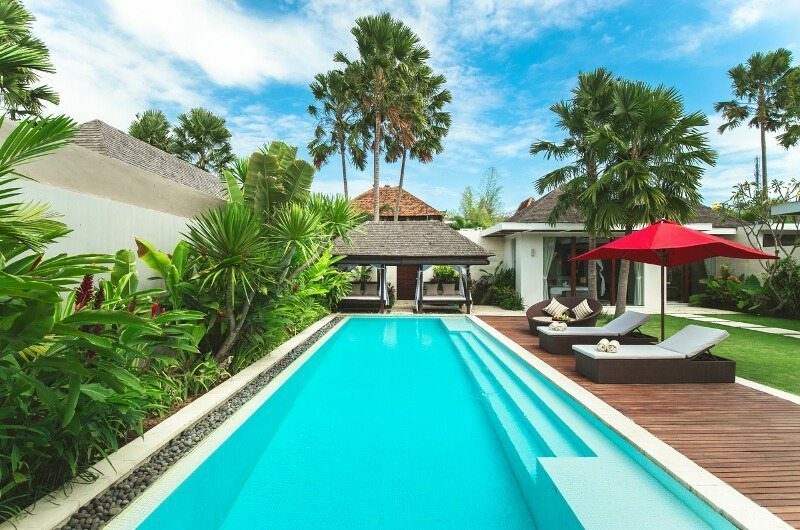 Our large family stayed in the 4 bed villa and our time in Seminyak was amazing. 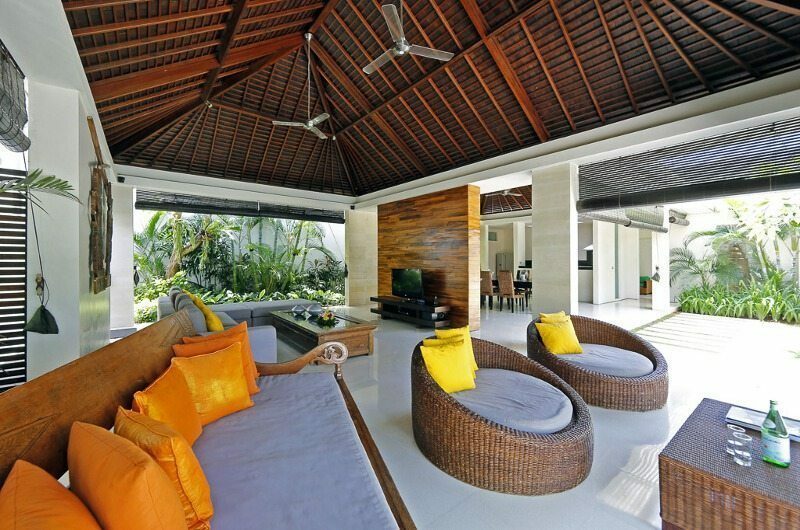 The villa was beautifully appointed and clean and the garden felt open and spacious. Most of all, the staff were the best. Nothing was too much trouble and there was a complimentary chauffeur to take you around Seminyak. Everything was perfect from the moment we arrived to the moment we left. The Chandra staff go above and beyond all expectations. Our Villa was absolutely amazing, it included everything you need for a perfect trip. 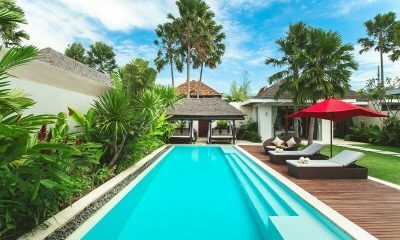 I would have no issues at all recommending Chandra to anyone looking for a relaxing, perfectly located villa in the heart of Seminyak. 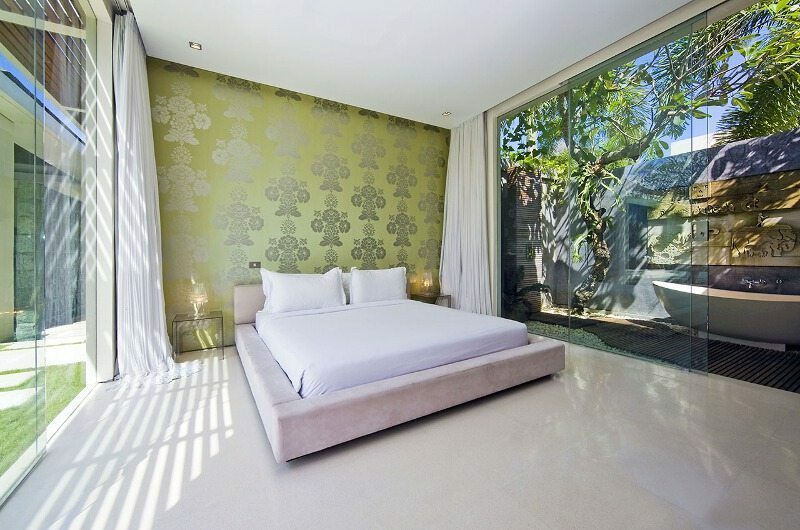 In a perfect location dead-centre of Seminyak but off the main road, Chandra Villas really gives you and the fam the perfect combination of affordable luxury with all the modern facilities. The big and beautiful pool was great for our friend’s children to play in, the epic gazebo and sunbed up the back is the spot to nab when reading in the afternoon, the kitchen and lounge area has everything you need, and the beds are super-comfy. Couple this with the flawless happy service from the staff and the great breakfast, and this meant we practically stayed inside the entire time for our trip! If you mums and dads DO want to sneak off for a sunset cocktail, then Ku de Ta is literally less than 10mins walk down the road on the beach. The owner Caroline even popped past and we had a lovely chat about the place, you can tell she and her husband truly have a passion for the design and value people’s opinions. This is one of those spots where everything has been thought of for you (there are even bicycles, scooters and shuttles on hand! 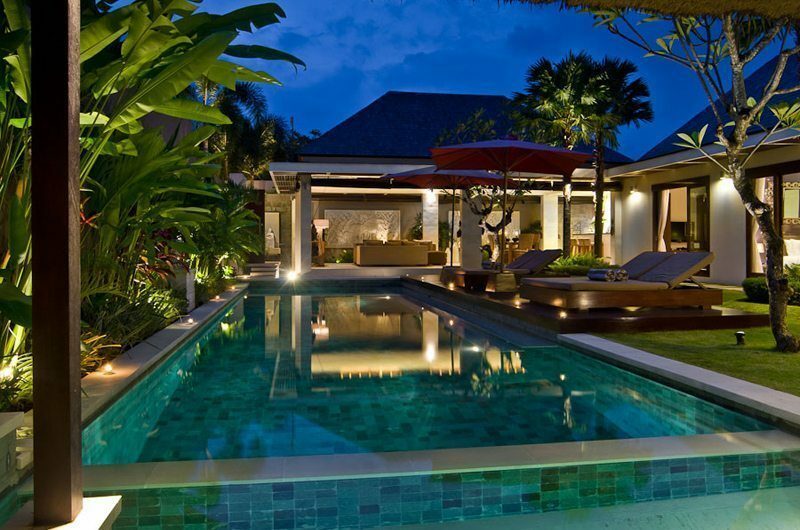 ), and you can truly enjoy what Bali has to offer around you. 5 stars. We had an excellent time staying at at Chandra Villas. For one, the staff are one of the most beautiful people I’ve met so far. It is really great coming back to a beautifully cleaned property with staff knowing you by your name. They had also great recommendations for places to eat. 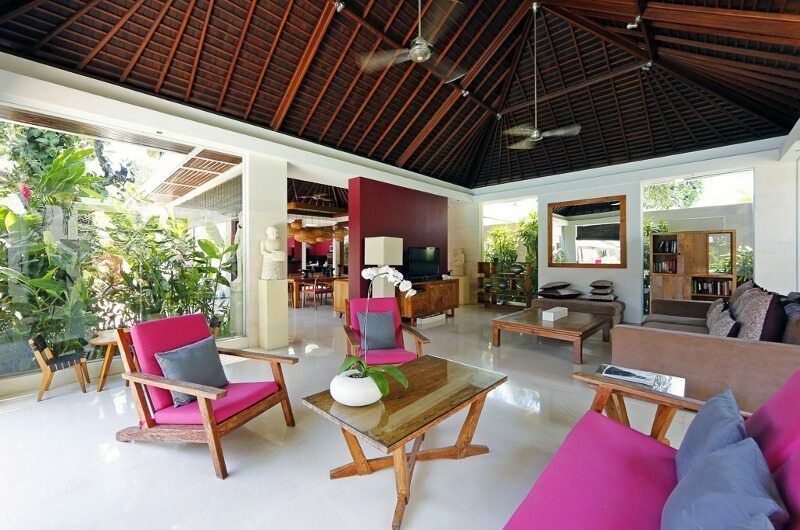 Location wise – the villa is within walking distance to Ku De Ta and the beach. Chandra also does drop offs around Seminyak, which makes lives very easy. As we were working during our stay, we have to say that the wifi had excellent coverage. This helped us heaps we are truly grateful. In terms of food – we had a good breakfast each morning. Each day, the staff come over to get your order and ensure that the breakfast is ready at the time you want it. We had an assortment of fruit, eggs, bread and drinks (coffee, tea, green tea). 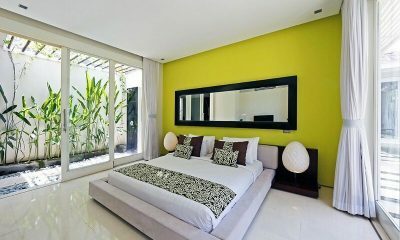 We stayed at Villa , and in the master bedroom. 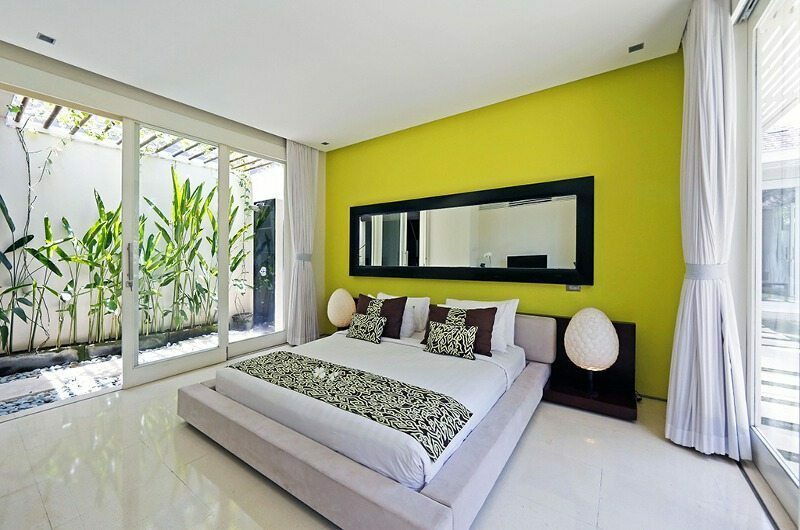 The master bedroom was extremely spacious and came with an ensuite. The four poster bed was very comfortable and getting up each morning was a chore! One thing to note is that the bathroom is an outdoor concept, so it might not be a cup of tea for some. The staff come in every evening to turn down the beds and burn mosquito coils. All in all, Chandra is truly a home away from home. Accessible and amazing. 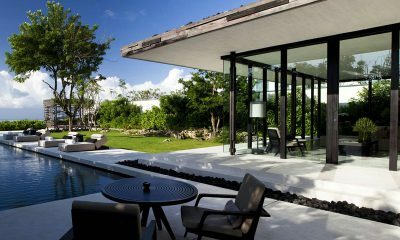 With its well-maintained grounds, beautiful pool, open layout and outdoor showers (oh, did I mention Apple TV? 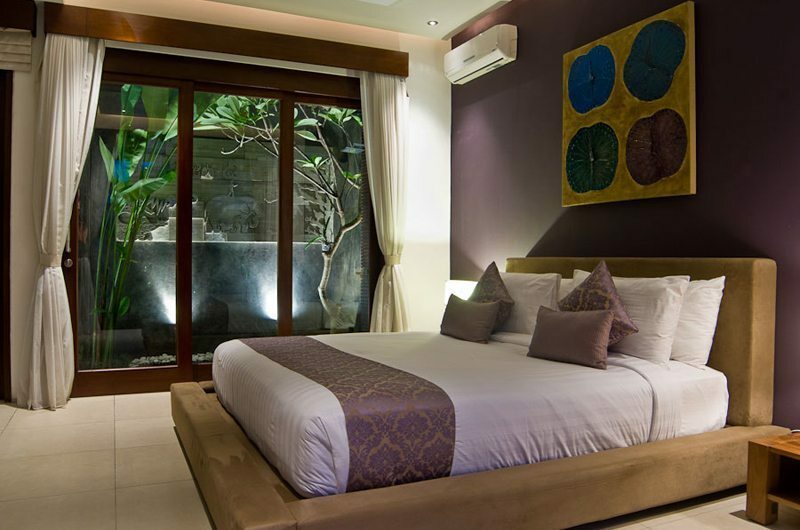 ), Chandra Villas easily become an essential part of our Bali holiday. It was really nice for my family of six to come back after a long day out to a quiet, clean and comfortable villa. 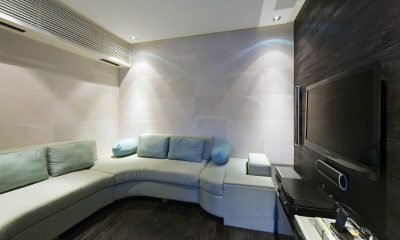 Location-wise, its a walk in from the main street but right next to Ku De Ta, so enough said. 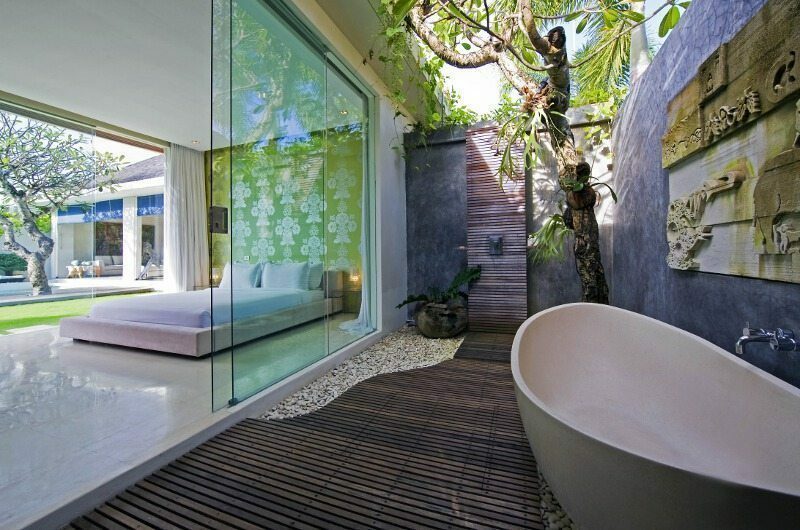 The hotel provides free drop-off around Seminyak. For those who need to be connected, wifi coverage is strong and consistent throughout the villa. 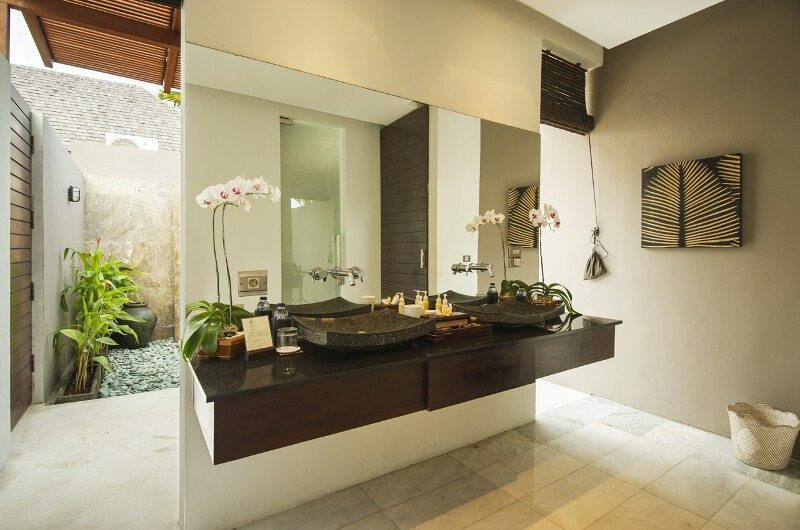 While most people are spoilt for choice when it comes to villas in Seminyak, what really made the difference with our experience at Chandra Villas was its staff, who went out of the way to make us feel as welcome as possible. When we requested for a birthday cake, the entire team showed up to celebrate with us! The villa was also helped us figure out some of our transport arrangements when needed. I must also mention the ease of communication with representatives from Ministry of Villas leading up to our stay. They were responsive and accommodating, especially with our initial concerns regarding the volcanic ash situation. 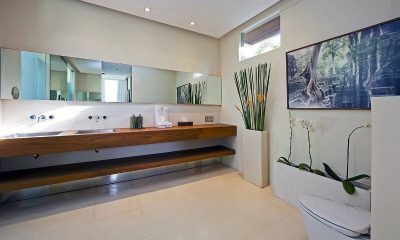 Small improvements that could really go a long way would be more luxurious touches to the toiletries and towels. Breakfast could be more consistent as well (it depends on who does the cooking!). That said, the entire experience was still amazing and provided great value-for-money.